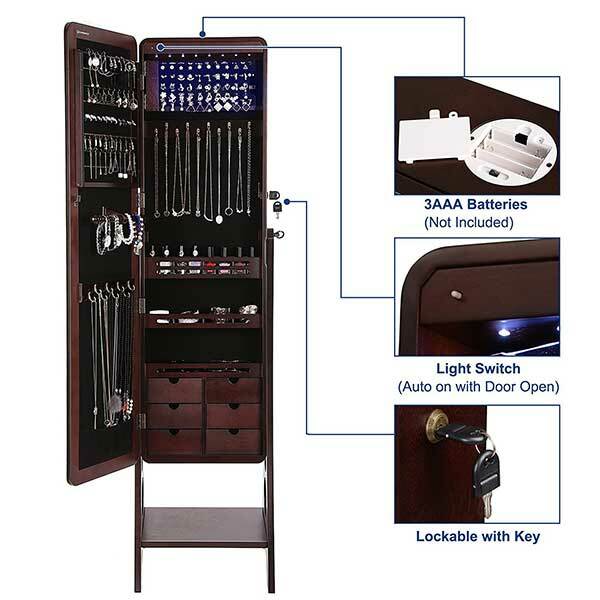 A lockable free standing full-length jewelry cabinet with mirror is a handy tool that makes it easy to neatly display and organized jewelry all in one place. 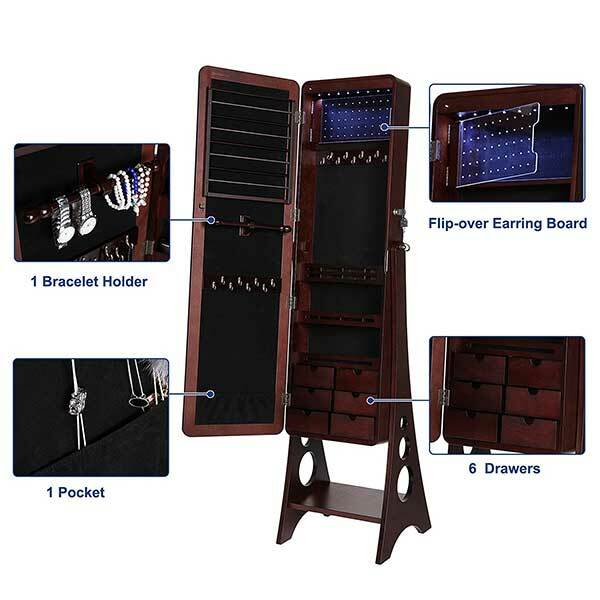 Inside the cabinet there are 6 drawers, 13 cosmetic compartments, 18 necklace hooks, 48 ring slots, 40 slant earring holes, 50 ear stud holes, a scarf rod, 4 earring wires, LED Lights, and more. Gone are the days of having to dig through a jewelry box. A jewelry cabinet with mirror is a useful tool that makes it easy to neatly organize and display jewelry. The full-length mirror (over 5 feet long) allows the owner to see their entire outfit when getting ready. 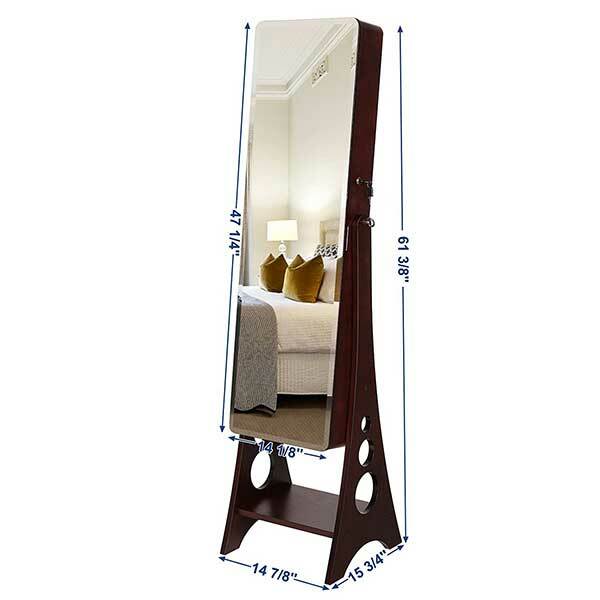 This mirror is available in both brown and white. Makes a great gift idea for women, especially if they could use a full length mirror or jewelry organizer. The mirror stand is sturdy and well made. It is also super easy to put together. The bottom of the stand also has an area that can be used as a storage shelf. To read what people are saying about this product on Amazon, and/or to get the latest pricing and product information, just hit the check it out link at the top of the page.